Each year brings different interests, milestones, and challenges for parents. 7 year old boys are no different – their interests change, their behaviors change, and they need more challenging toys to provoke their growing brains. 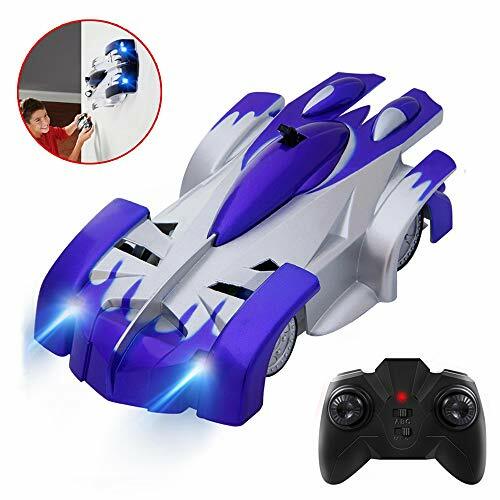 While many of these attributes can be found with video games, it is important to also stimulate your child’s physical growth by providing toys that require physical movement and challenges as well. Whether you realize it or not, play time is almost always learning and development time. Playing in groups teaches children social skills they will need throughout life – sharing, thinking of others, taking turns, problem solving, solving differences in a positive manner, and building confidence. All these things will help your child as he/she grows older and as they face different challenges. Games that require physical activity promote a healthier lifestyle, decrease the risk of obesity, and enhances your child’s physical development (source). Physical activity enhances the growth and development of your child’s muscles and joints. Play time is fun time – but, it is so much more than that. 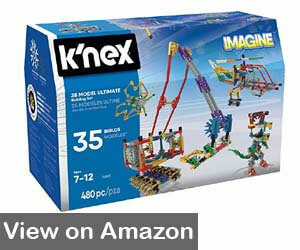 One of the best learning gifts for 7-year-old boys is the K’NEX Imagine 35 Model Building Set. With over 480 pieces, this building set allows your child to create 35 different models, including helicopters, airplanes, trucks, buildings, bridges, and amusement parks – all interactive and moveable. 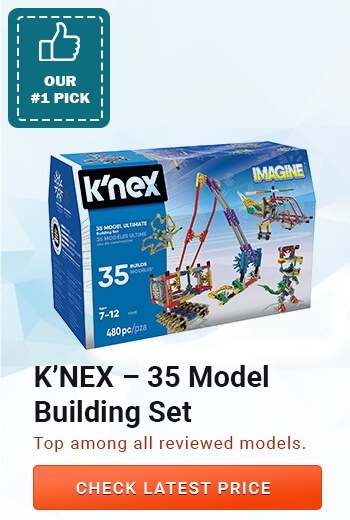 Since 1992, K’NEX has been providing educational toys that inspire your child to be creative and teaches them their imagination is their only limitation. From its humble beginnings as a simple rod and connector set, K’NEX has grown into elaborate building sets that features pulleys, gears, and wheels. K’NEX provides hours of creative fun in 3D. Building set comes in a treasure check storage box for easy storage. Snap-fit pieces allow your child to construct, disassemble, and reconstruct. Part of the STEM curriculum and can be used by schools or parents to homeschool as a part of the learning process. STEM = Science, Technology, Engineering, and Math. Includes step-by-step, easy-to-follow instructions for 35 models. Moving parts bring your child’s creations to life. Encourages the development of problem-solving skills, spatial awareness, fine motor skills, and eye-hand coordination. Lots of very small pieces, so some adult supervision may be required. 7-year-old boys are extremely active and riding toys are some of their favorites. One of the best riding gifts for 7-year-old boys is the Razor A3 Scooter. This classic kick scooter is constructed of rugged aircraft-grade aluminum and supports up to 143 pounds. Available in a variety of colors and equipped with made-for-fun accessories, the A3 scooter provides hours of riding time for your 7-year-old. Tired of ordinary and uninspiring scooters, the innovative crew at Razor decided in 2000 to reinvent the wheel (or scooter, as the case may be). From the last twenty years, Razor has become an industry leader by providing innovative, exciting, and fun manual scooters, electric skateboards, hoverboards, and turbo-powered heel wheels. 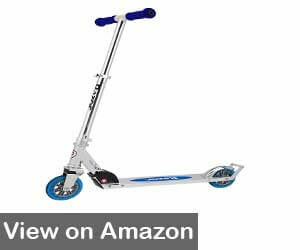 If you see a kid scooting past you, chances are they are on a Razor. Springless shock-absorbing system and inline-style urethane wheels provide a smooth ride across various surfaces. Equipped with rear fender brake for safe stopping. Features a wheelie bar for tricks. Folding handlebars make it easy to transport. Wheels are 125 mm and equipped with ABEC-5 high-speed bearings. Folding lever can be too difficult for some kids to operate alone. One of the milestones of 7-year-olds is developing friendships. What better way to develop a friendship than a competitive game of Dodgeball? The Diggin Active Dodge Tag game is one of the best two-player gifts for 7-year-old boys. This combination of dodgeball and tag allows your son to develop their competitive side in a fun and challenging way. As children, Diggin’s founders were passionate sports enthusiasts. 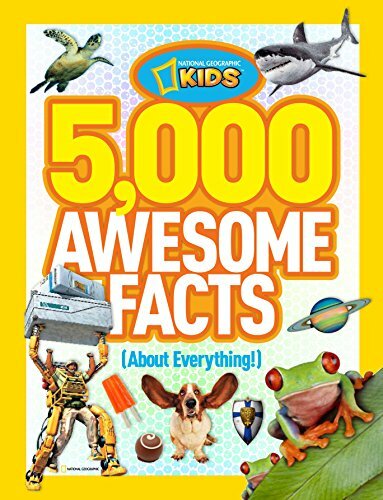 With an understanding of how frustrating it can be to learn new skills, they designed a line of products that encourages kids to learn new skills. Their toys are designed to bring fun into learning new skills and are created to promote a healthy lifestyle for kids of all skill levels. 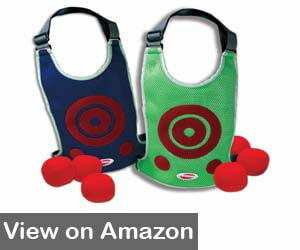 Set includes two adjustable air-mesh vests and six soft balls with Velcro. 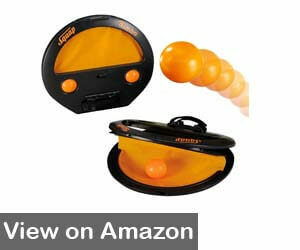 Promotes eye-hand coordination, gross and fine motor skills, and friendly competition. Balls are soft enough for outdoor or indoor play – no worries about injuries. Adjustable vests for a better fit. Velcro balls stick easily to the vest. Balls are very light, so players cannot be too far apart. STEM is a curriculum that combines four educational disciplines – Science, Technology, Engineering, and Mathematics. Games and toys that promote the STEM concept teach children the importance of these disciplines and encourages them to excel in these subjects. 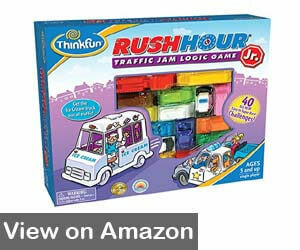 One of the best STEM gifts for 7-year-old boys is Rush Hour Junior, the traffic jam logic game by Think Fun. Think Fun was founded in 1985 by a husband and wife team who wanted to make learning more fun. In the beginning, the assembly line and distribution center were in the couple’s basement. Think Fun is now an award-winning and respected global company that operates in over 60 countries. Their mission is to create products that naturally inspire learning, spark creativity, and provide hours of fun. Promotes STEM curriculum – Science, Technology, Engineering, and Mathematics. Winner of NAPPA (National Parenting Product Awards) and Parents Choice Gold Award. Promotes skills such as planning and logical reasoning. 40 challenges in 4 levels – Easy, Medium, Hard, and Super Hard. 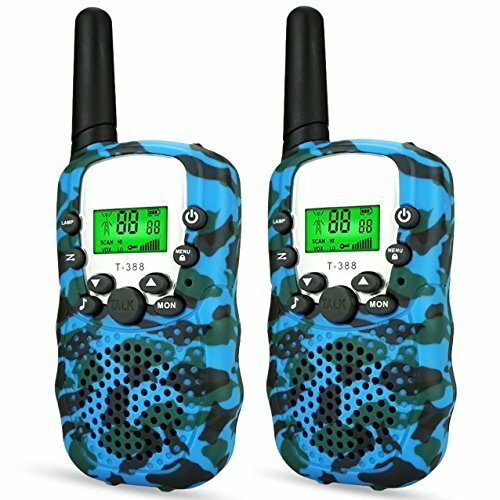 Specifically designed for younger players and includes easy-to-follow instructions. Includes a bag for easy storage and portability. Some parents feel the pieces should be larger for smaller hands to manipulate. 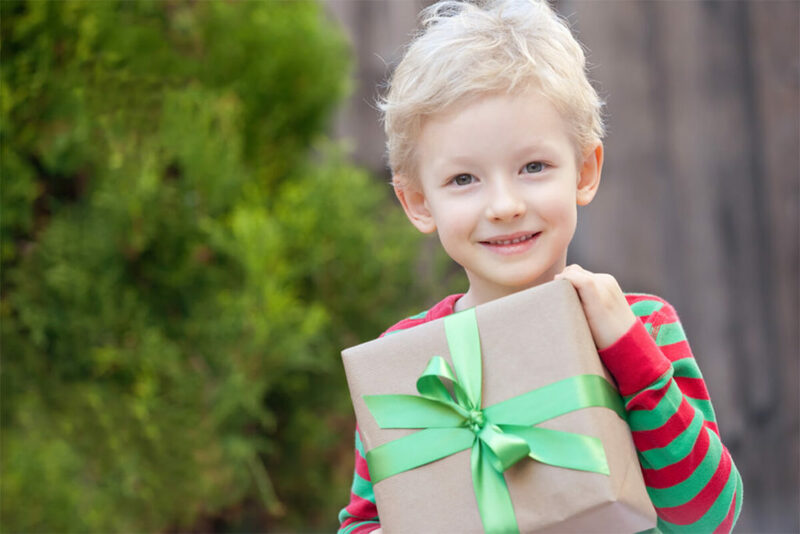 Imagine the way a 7-year-old’s eyes light up on Christmas morning. Now, imagine how bright they become when they spot the Nerf N-Strike Blazin Bow under the tree. As one of the best Christmas gifts for 7-year-old boys, the N-Strike has a 20” wingspan and fires as far as 40 feet. For over 40 years, the Nerf brand has been providing foam toys for kids that can be played indoors. The Nerf Ball made its debut in 1969 while the Nerf brand was under the Parker Brothers logo. Since Hasbro acquired Nerf in 1991, Nerf has expanded from balls to ball launchers, including guns and bows. From a simple foam ball to guns that fire balls, missiles, and suction-cup darts, Nerf has become a household name for kid’s battle armor. Real bow action promotes an authentic bow and arrow experience. Equipped with storage for 3 giant foam arrows. Great for teaching children how to load and shoot a bow. Though arrows are launched by a blast of air pressure, the arrows are soft and do not hurt if someone is accidentally hit. 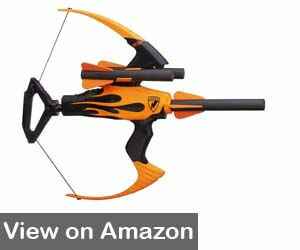 A great gift for kids who want to experience a bow and arrow but are too young for the real thing. Some parents stated the arrow holders make small tears in the arrows. 7-year-olds need lots of outdoor, active play. One of the best birthday gifts for 7-year-old boys that encourages active, outdoor play is Squap by Simba – the ultimate game of catch. Squap promotes hand-eye coordination, gross and small motor skills, and teaches skills needed for many sports. Simba Toys was established in 1982 and focused on traditional toys – board games, dolls, and wooden toys. The company introduced the Squap brand in 2009. The action-packed, fast-paced game was an instant hit worldwide. Simba Toys is an international brand that strives to provide quality toys that are fun and inspiring to children of all ages. 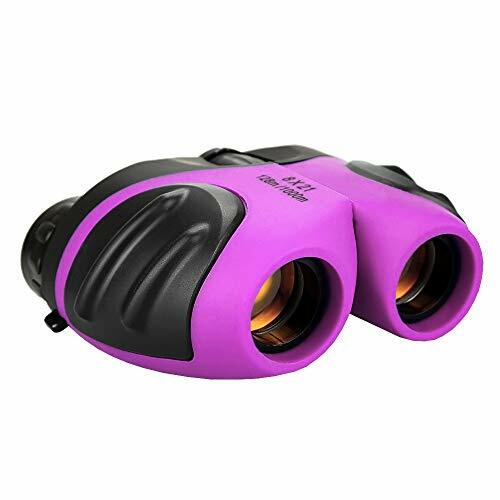 This compact and portable game can be taken anywhere – camping trips, to the beach, to the park. Helps develop catching skills needed for baseball. Challenging game of catch that provides hours of exercise for your child. Includes two pop paddles and four balls. Pop paddles are easy for kids of all ages to use. Balls only go a short distance when launched. 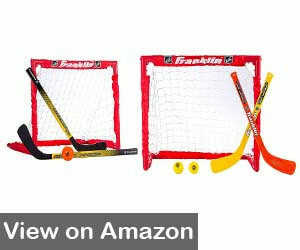 The Franklin Sports Mini Hockey 2-in-1 Set is one of the best sports gifts for 7-year-old boys. This 2-in-1 hockey set allows your child to play street hockey or knee hockey indoors. The set comes with two hockey goals, two mini-hockey sticks (for knee hockey), two adjustable hockey sticks (for street hockey), a small foam ball, and an officially-sized street hockey ball. One of the most trusted names in sporting goods, Franklin Sports was co-founded in 1946 by brothers, Sydney and Irving Franklin. Franklin Sports is now one of the leading brands of sporting goods and is a household name the world over. For over 70 years, Franklin Sports has provided quality sporting goods for sports participants of all levels and skills. Goals collapse completely for easy portability and storage. Goals include a high-impact plastic frame and an all-weather, pre-fit net. The sticks do not have a curve, so can be used left-handed or right-handed. Hockey sticks adjust from 18-28 inches. The goals lock into place so they do not collapse while playing. Light, foam balls make this hockey set ideal for indoor play. Comes with foam balls rather than hockey puck. Each child is unique. Each 7-year-old boy is his own person – and may not be like other 7-year-old boys. Each child reaches milestones at various times, though usually within specific time frames. Here are some of the milestones your child has reached or may reach at 7. Share his knowledge with others. Ask lots of questions to gain more knowledge and learn how the world works. 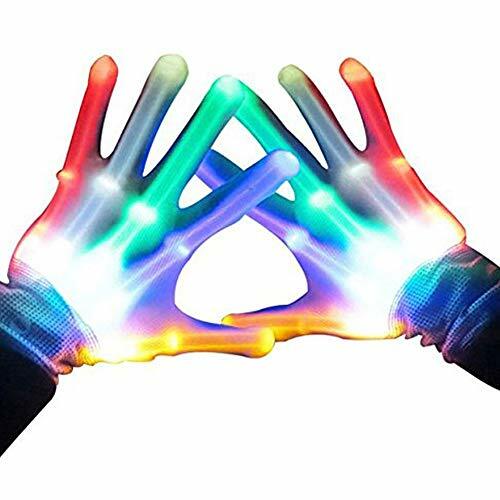 Begin to solve complex problems using his imagination. Understanding his place in the world – in the family, in his group of friends, in the classroom. Begin thinking about the future – what he want’s to be when he grows up, what sports he wants to play. Place more value on friendships and team roles. Mental skills begin to develop more rapidly as your child goes to school. Begins to show more concern for others as his world evolves. Teach responsibility by assigning age-appropriate chores with rewards or consequences. Have conversations with your child about things going on in his life – friends, school, sports. Teach him to respect others and to help those in need. Teach him how to set attainable goals and work to achieve them. Set boundaries – have rules with consequences and be consistent. Set boundaries for electronics – 1-2 hours of screen time per day. Involve your child in family activities, such as game night. Praise him for good behavior. Encourage participation in group activities – sports, church, clubs. Ensure your child has at least 1 hour of physical activity daily. Be his role model – children love to emulate their parents. Playing has many benefits for children and is essential for your child’s development. Play promotes physical, cognitive, social, and emotional development in children of all ages. Play time is beneficial to healthy brain growth. Children learn to express their feelings in a healthy manner. Children learn to make decisions and learn how their decisions affect others. Playing with others teaches children to share, to think of others, and to work as a part of a group to accomplish the same goal. Team playing teaches children to be competitive yet fair. Team playing teaches children how to follow rules – and that there are rewards for following the rules as well as consequences for not following the rules. Play promotes the use of your child’s imagination and creativity. Play time is a valuable time for children to learn impulse control. Follow the manufacturer’s recommendation for age, weight, and height. Follow the manufacturer’s recommendations for using the toy. Always purchase helmets, knee pads, and elbow pads for riding toys. Supervise your child until you are certain he/she understands how to use the toy safely. Check for loose parts or sharp edges before allowing your child to play. Ensure your child know the rules for playing with the toy (example: do not shoot the neighbor, do not hit your sister with a bat). Keep toys meant for older children out of the reach of younger children.